This series has gone from bad to worse. We all wanted the Canucks to matchup against the Flames figuring THAT was their best way to advance, we were so wrong! What we failed to realize or maybe some of you didn’t was that even though the Canucks stellar record got them in the playoffs, they are far from contenders. OK thanks Capt. Obvious, we knew that. 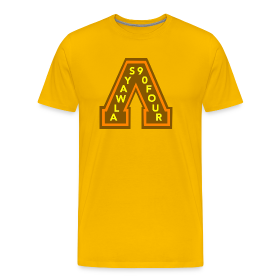 But seriously, how many opportunities did they have this year to right the ship or even put away awful teams or even worse: the Sabres? Willie rolled four lines and it proved to be a winning formula, enough to make the post season; adding unforseen depth in Bo Horvat and Ronalds Kenins has filled some gaps a lot quicker than first thought; heck even Yannick Weber has found a spot of meaning here. These additions are great and all but compare them to the teams they are trying to equal and they still aren’t close. A mediocre Flames squad is proving this quite easily. So the referees haven’t exactly helped either. They have let Michael Ferland charge his way time after time to hit Kevin Bieksa, Kevin Bieksa, Kevin Bieksa, Luca Sbisa and Kevin Bieksa. No one debates a good hit but when the hit is preceeded by oh I dunno 5-6 strides, that’s a problem. The Canucks aren’t doing themselves any favours but the stripes aren’t making it any easier. Vancouver has been left beaten, bloodied and left for dead. Short of a chalk line, the Canucks are basically D.O.A. No special victims unit can help this crew right now, they need a CVU: Canucks Victims Unit; I take that back, WE need a CVU. Maybe the fix is on from the inside? Just kidding, we’ve all had it up to here with the conspiracies. But Brandon McMillan and Linden Vey? Bro. It’s befuddling how Sven Baertschi gets called up and they throw in these guys? The lack of use of Henrik and Daniel over the first four games is enraging and to add to the fire Linden Vey, Derek Dorsett and Nick Bonino are the first choice? Wow! It might be time to promote Bo Horvat and get Radim Vrbata with the Sedins. Its not like that’s what you signed him for. To see everything unravel regardless of the end result, hurts. Most of us had the mindset that if the Canucks made the playoffs this year, they were cool with losing if they went down fighting. This isn’t close to that scenario. Sure, Burrows getting the Sami Salo disease doesn’t help anything and Zack Kassian being sidelined by a mysterious injury never gave him the opportunity to set the bar. This team just hit their funk at the worst time possible. Slightly better than the Jets though, not by much. A higher draft pick would have been great but as one of the teams on the brink of elimination, they are one of the highest seeds to potentially fall. Was the late stretch really worth it? You have to believe it was and with some serious additions from the young guys next year (Shinkaruk, Virtanen, McCann? ), the current new crop of players can build off of what essentially was a pretty good, nay, “real good” year. There are still games to be played, at least one more tonight in Vancouver so all the worries could be meaningless if they flip the switch and make a series of it. The Canucks aren’t the best team in the post seasaon but if they figure it out, they aren’t the worst either. Ryan Miller is supposed to start and Baertschi is making his debut. Baby steps. Score the first goal and go from there. NO, not YOU Calgary! I still believe in these guys even though I haven’t stopped crying since the end of Game 3. Just win Canucks, help get us to Saturday soberly. The Stanley Cup Playoffs have begun! Actually, they’re very much going and kind of in the middle right now. 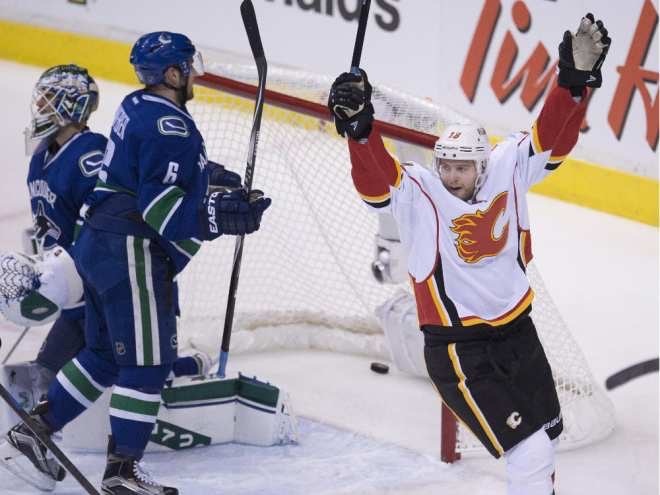 Your Vancouver Canucks were lucky enough to host the Calgary Flames in Round 1. Every Canucks fan got what they asked for; the best matchup for the Canucks to prevail. Ask and ye shall receive. These things are a recap for the people that may have been on vacation in the U.S and A where NBA and Nascar hilites are the only thing that make headlines. For those in the know, this might not be as fun for you. But fear not, I will save your sad face emojis! The Canucks opened up with the noise but through 3 games, they sure have quieted down. RECAP: The towels were waving, the fans were….cheering? Rogers Arena was buzzing heading into Game 1 and the Canucks were ready to show they were going to own this series. Bo Horvat scored his first ever Stanley Cup Playoff goal off a ricochet and put the Canucks up 1-0 in the 2nd period. The Flames would tie it in the 3rd on a David Jones shot. In what has become standard in these playoffs, the Flames would go ahead with under 40 seconds left in the game off a Kris Russell blue line rope. Flames go ahead in the series 1-0. FOOTNOTE: Eddie Lack was beyond good and looked like he was ready to silence the critics in his first ever playoff start. We also were introduced to Michael Ferland. RECAP: Again Eddie Lack put up quite the game and held a shutout until the bitter end of the game, before giving up one. The Canucks absolutely owned the Flames in pretty much every category. Ronalds Kenins scored, so did Daniel Sedin. Radim Vrbata emptied a net with his first and good ol’ Higgins got one of the hockey goals too. Derek Dorsett ended the night with Deryk Engelland and some fisticuffs which were oh so dandy! Brad Richardson mamed Matt Stajan in their tilt and again, we saw the antics of Michael Ferland. Canucks were in the driver’s seat all game, they never looked back. FOOTNOTE: Engelland was sure energetic this game. He got 42 minutes in penalties and THREE game misconducts however one was rescinded. Lucky duck! RECAP: If you would have told me the Flames would score the first goal in this game, I wouldn’t would totally have believed you. Corning the Canucks at every turn, there was nowhere to hide. Shawn Matthias would tie it but it really didn’t matter. Michael Ferland hit everything that moved and had the Canucks anticipating his hits all night which…is not good. The electric 18 year old Sam Bennett took a beating all night as well and kept ticking until he scored in the 3rd. 18 years old folks, he’s so resilient. 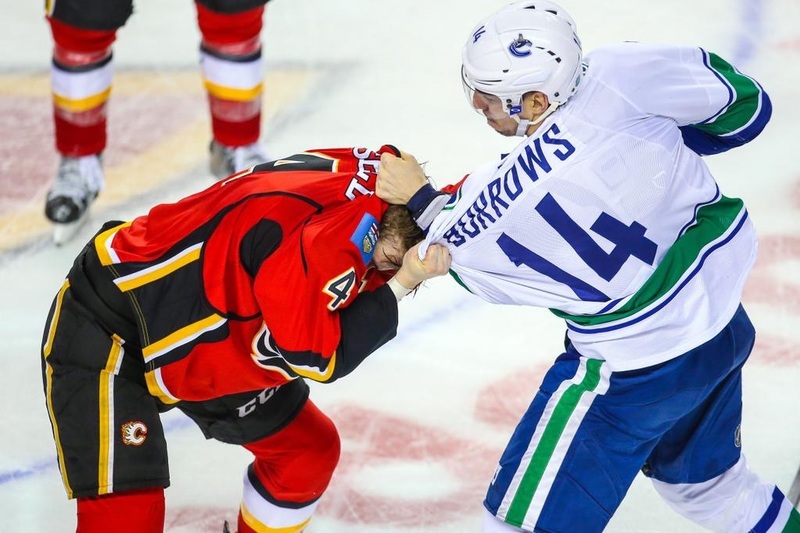 FOOTNOTE: Alex Burrows took his turn getting ejected for his hit on Johnny Hockey and the fight that followed. It too was rescinded. See a trend here? Vancouver has been playing catchup in 2 of the 3 games and it doesn’t bode well for them if they keep it up. We’ve seen how they spot teams leads in the regular season and that doesn’t even seem to be the problem, they just aren’t matching Calgary’s intensity level! The talent is there but the goals aren’t. Having Kevin Bieksa and Luca Sbisa baking turnovers is really hurting the bottom line as well. Coach Willie should mimic his use of that pairing like he uses the Sedins, not a lot. I still believe in these Canucks but they have to show life or so help me, the Flames will beat them quickly. Bieksa: "It’s not the first time we have seen that in playoffs. We have played against Ben Eager and some other dumb-dumbs like that before.